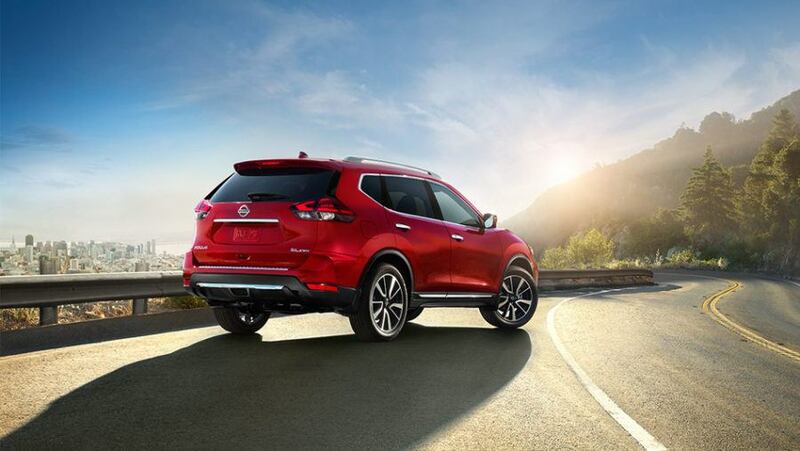 Midway Nissan | Blog | Midway Nissan Reviews the 2017 Rogue SL Platinum! Midway Nissan Reviews the 2017 Rogue SL Platinum! 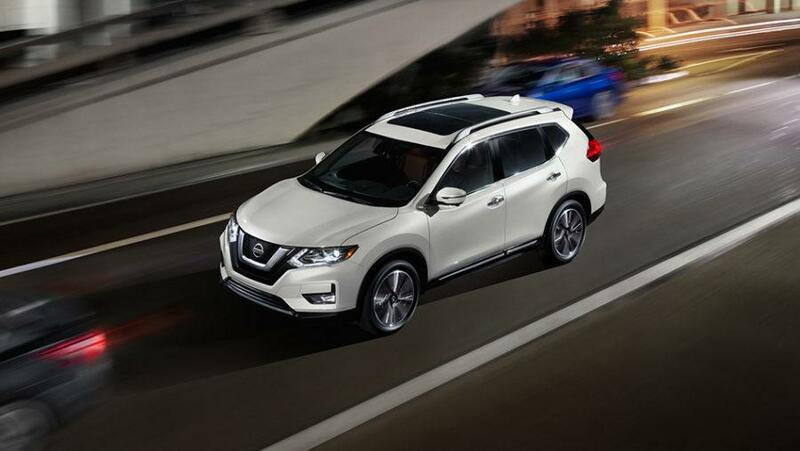 The 2017 Nissan Rogue SL Platinum is the ultimate in family luxury for compact SUVs! It comes built with a 2.5-litre DOHC 16 valve 4 cylinder engine capable of generating 170 hp at 6,000 rpm and 175 lb-ft of torque at 4,400 rpm. Scoring Tier 2 certification and classified in the Bin 5 Standard for emissions, the crossover sports CVTCS, Nissan Direct Ignition System and there is an ECO Mode as well as Sport Mode. The all-wheel drive Rogue SL Platinum has hill start assist; all four wheels have vented disc brakes and anti-lock braking system, brake assist and electronic brake force distribution, active engine braking and trace control. The suspensions are standard independent strut for front and independent multi-link for rear. The electric power steering is speed sensitive. Fuel economy is capable of running 7.4 L/100 km on highways and 9.6 L/100 km on city roads. The 2017 Rogue SL Platinum has halogen headlights and LED headlights as well as LED daytime lights, the headlights have auto on and off feature, there are fog lights and LED tail lamps. The outside mirrors are heated and have integrated LED turn signal indicators. There is a powered panoramic moon-roof; roof rails, ultraviolet reducing solar glass and motion activated powered lift-gate. Check our inventory. 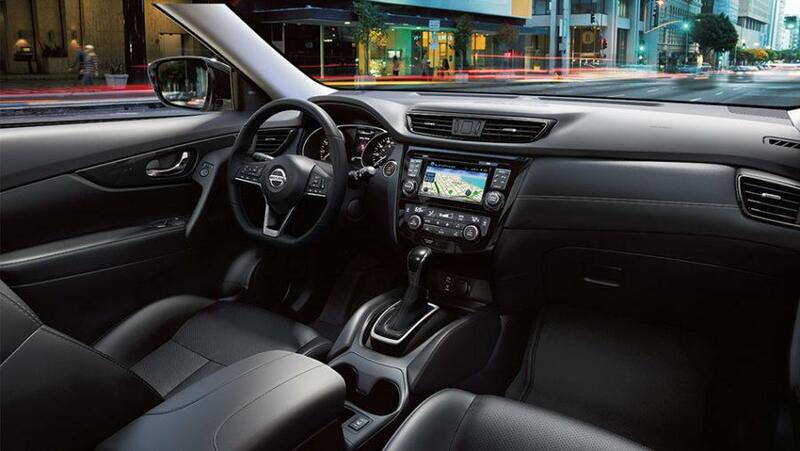 The 2017 Nissan Rogue SL Platinum is equipped with drive assist display including integrated navigation and there is a plethora of features such as SiriusXM Traffic, NissanConnect, hands-free messaging, Bluetooth, rear view and around view monitor, dual zone temperature control with micro filter, air conditioning vents for rear passengers, powered windows and door locks with auto feature and selective locking or unlocking, Nissan Intelligent Key, cruise control with switches mounted on the steering wheel, variable intermittent windshield wipers, auto dimming rearview mirror, LED map lights and mood lighting. The 2017 Rogue SL Platinum has dual stage supplemental air bags at the front with occupant classification and seat belt sensors, supplemental air bags for side impact mounted in the seats of the driver and front passenger, curtain supplemental air bags mounted in the roof, vehicle dynamic control, forward collision warning, emergency braking, pedestrian detection, blind spot and lane departure warning, moving object detection and rear cross traffic alert. Rogue SL Platinum also features intelligent cruise control, front seat belts with load limiters, LATCH System and break-away engine mounts and energy-absorbing steering column. There an anti-theft system and immobilizer key for active security. If family comfort and security are paramount for your drive, then check out the 2017 Rogue SL Platinum today! 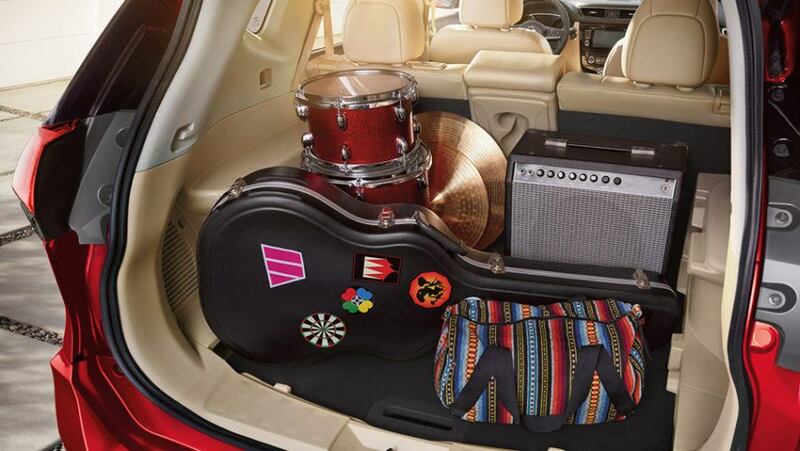 We invite you to book a test drive at Midway Nissan.